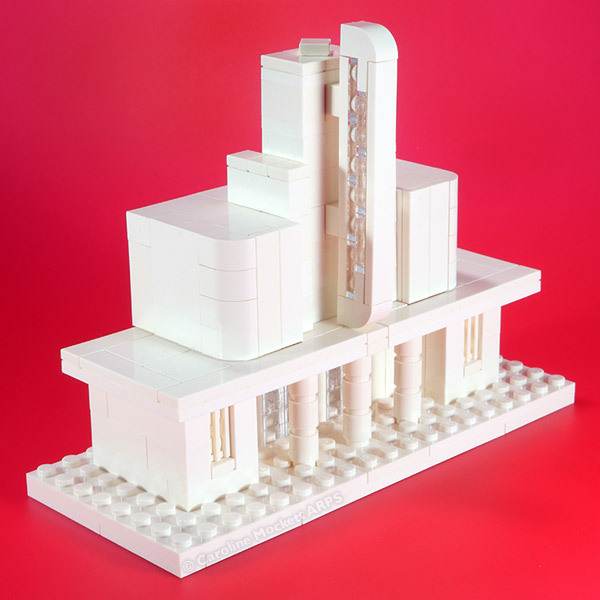 Notes: I love Art Deco architecture, so it was inevitable I would have a go at building something in that style in LEGO. This is a design from Tom Alphin’s excellent book, The LEGO Architect. At present, it’s only the front entrance to the cinema, so I need to think about how to make the back into a proper building before it makes it into my Micropolis layout – but it was a useful exercise getting a feel for the building techniques and the shape and size of the finished model. Food for thought.